The overarching theme of Ocean*Energy seems at first a strange fit for the inland city of Canberra. But if you look at the geological history of the city, it occupies what was once an inland sea which opens up a conversation about deep time and change over time. Close to Canberra is also the source of the Murray and Murrumbidgee Rivers, which have provided hydro-electricity to the region through the Snowy River Hydro-Electric Scheme. The theme is deliberately open and provides for a diversity of readings on what ‘ocean’ and ‘energy’ can be. It can be a literal reading of energy in terms of electricity, renewables and solar or be defined as the effort, passion and focus of community to make positive environmental changes. It also allows for discreet discussions on place about islands, oceans, mountains and rivers. This will provide the opportunity to look at areas like the Murray and Murrumbidgee Rivers and connect with existing research and knowledge about Country that could be contributed by participants. The goal of the event is to encourage thought, ideas and discussion around environmental issues across disciplines as well as identify means of positive action at a larger community scale. Participants will be joining us from Vanuatu, Aoteraroa NZ and from across Australia. We will also have remote participants from Europe and the USA. The event will mainly be located at the University of Canberra. 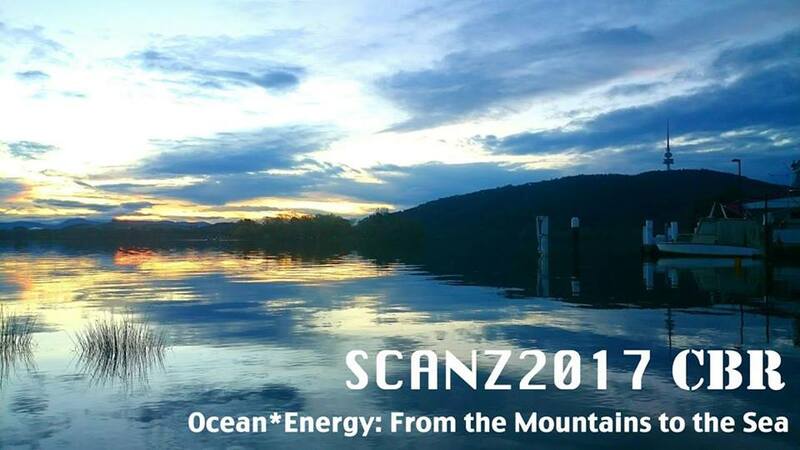 Check out the SCANZ2017CBR event page on Facebook.